Jenny Jae continues her struggle to write as well as bring up her two small children, Gemma and Rosie, in Corrugated Roads—Lilies on a Dustbin. 1970s-1980s. It is the third book in a five–part series. By day Jenny takes any job that will provide her with a roof over their heads, and by night she chronicles the lives of the people around her in the eccentric, gay, and slightly disheveled neighbourhood she lives in. Gradually her stories about it, and her family are published, and Jenny is on her way. 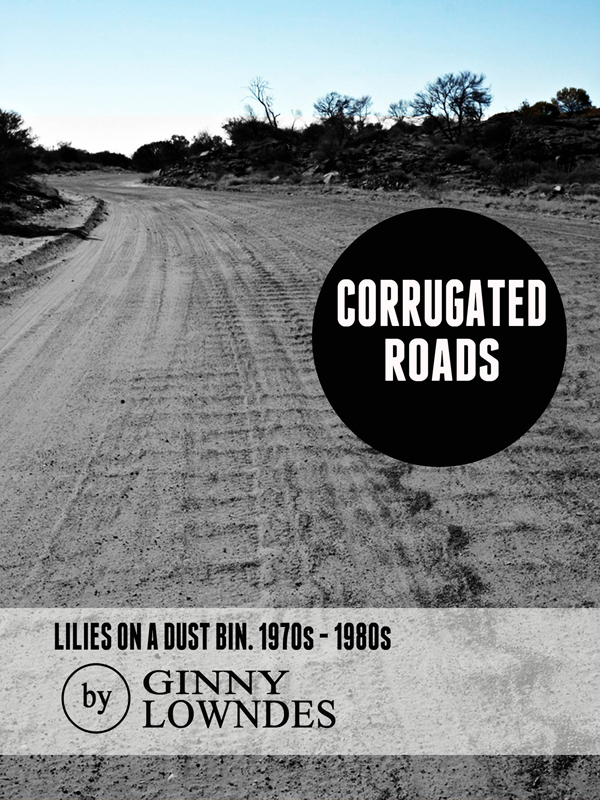 You can purchase the book online from Smashwords in multiple eBook formats at http://www.amazon.com/Corrugated-Roads-Lilies-Dustbin-1970s-1980s/dp/0987151363.